Renters always look like renters, no matter who they are the world over apparently. 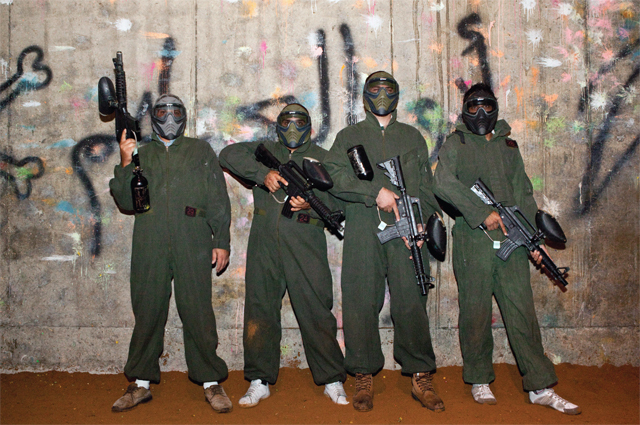 If you're familiar with Vice Magazine, it should come as no surprise to you that they wanted to play paintball with Hizbullah. They used to offer free copies in a record store in Ottawa, and I remember picking up one issue that included a lot of content in this vein. Long story short, they ended up actually accomplishing their goal, and beyond the controversy that entails, you have to admit that these journalists have serious balls. 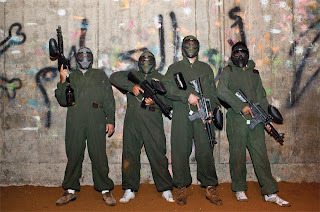 You wouldn't catch me going into an underground paintball complex in Beirut to play with a bunch of cheating (yes, they cheat) terrorists who have no qualms with using pyrotechnics during gameplay. What's more terrifying is they call them out on their cheating. Read the full story here. Vice used to offer free subscriptions if you wrote them a letter, but now they appear to charge for a yearly subscription.